Live from the London Wine Fairs : Natural Comes First, and Diversity with It. It’s a big week for wine in London, this week, with not just one but three fairs taking place, starting with two natural wine fairs that brought some 300 organic, biodynamic and natural winemakers to the British capital. Strangely competing for attention in what is a growing but still a niche market, The Real Wine Fair and RAW Fair were enough to make trade and press representatives dizzy, as they shuffled back and forth between the two, all that before today’s London International Wine Fair’s opening. 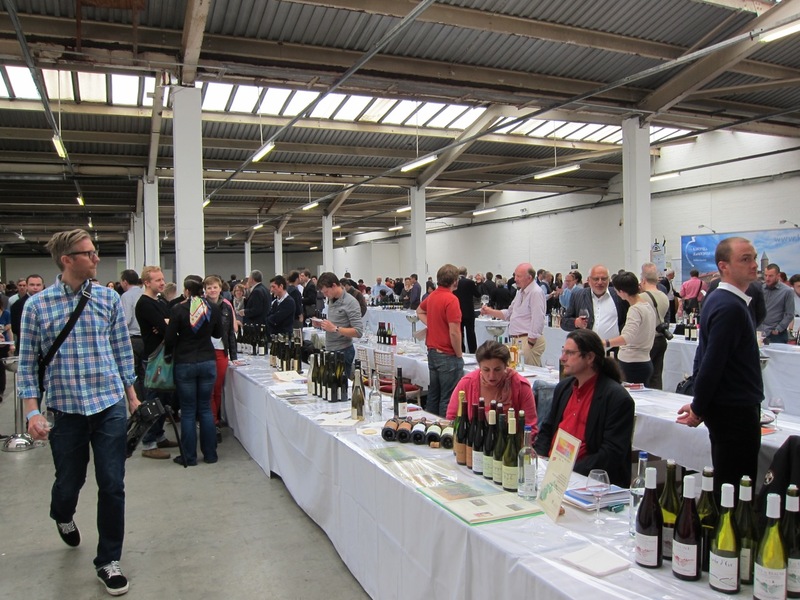 What could also make you dizzy at the two natural wine fairs is the diversity of offerings present. Whether it’s Pineau d’Aunis or Grolleau from the Loire, skin-macerated Chenin Blanc from South Africa, powerful and aromatic Georgian reds made in amphorae (qvevri, as they call them there), Chasselas from Alsace, old-vine Carignan from a “wild vineyard” in Chile or remarkably fresh, natural Syrah from Australia, there are endless discoveries to be made – alongside a lot of more classic offerings like Burgundies or Barolos for which the organic/natural trend actually circles back to tradition and less interventionist approaches. Expanding the range of styles, grape varieties and taste profiles seems to be at the heart of what is happening in that loose and creative “movement”. 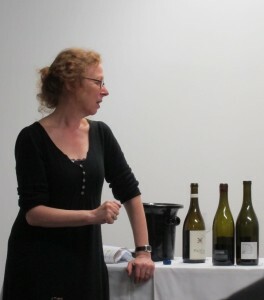 Indeed, at a masterclass on “New American Wine” that she presented yesterday at the Real Wine Fair, Alice Feiring pointed out that some winemakers that have emerged in recent years in California have given new meanings to the expression “California wine”. Wines from the likes of Clos Saron, Arnot Roberts, La Clarine Farm, Martian Vineyards or Scholium Project, which Feiring was presenting to an attentive audience of British wine professionals, do go beyond the scope of what is generally thought of when one thinks of California. The audience certainly seemed to agree and responded enthusiastically. 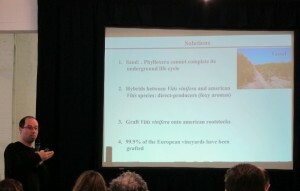 Diversity was also at the heart of a talk by Swiss grape geneticist José Vouillamoz, co-author with Julia Harding and Jancis Robinson of a book on Wine Grapes to be released next October. In that book, the authors present some 1,400 grape varieties. 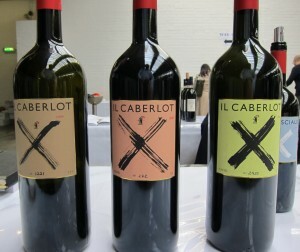 Vouillamoz was at RAW fair to showcase a series of wines made from “obscure grape varieties and ungrafted vineyards”. Tracing their genetic lineage and traditional uses, the researcher presented wines from durella, nosiola, caberlot (a natural crossing of merlot and another unknown grape, originally thought to be cabernet franc), kadarka and rkatsiteli. There were certainly a lot of unusual and interesting profiles there, from the nutty aromas of nosiola (whose name is derived from the Italian for “hazelnut”) to the light, friendly fruitiness of the Hungarian red grape kadarka. But why, beyond curiosity, should those rare varieties be nurtured and promoted? “Our ancestors had identified these varieties and thought they were worth keeping. They met needs and profiles that went with the local know-how.” Keeping them around is therefore saving both biodiversity and cultural heritage, which Vouillamoz points out are both components of terroir, in the larger sense. Still, the trend towards promoting – and, at a more basic level, making wine from – traditional varieties is growing, fuelled by winegrowers’ desire to save worthwhile grapes and from the curiosity of drinkers looking to taste new things. “It’s normal that younger drinkers who are just getting into wine start with chardonnay, pinot and cabernet”, says Vouillamoz. “But after that, they start looking for something different.” And that’s where nosiola, rkatsiteli aged in qvevri, cornalin from the Valais or even interesting hybrids recently developed in North America can come and capture the attention of drinkers looking for novelty. Paradoxically, it seems like the modern desire for novelty may, in fact, become an ally of viticultural heritage everywhere, as old grapes brought back from the brink become new again. Today’s short attention span supporting centuries-old traditions? Who would’ve thunk it.